You can escapade with your friends by this cool WhatsApp trick. 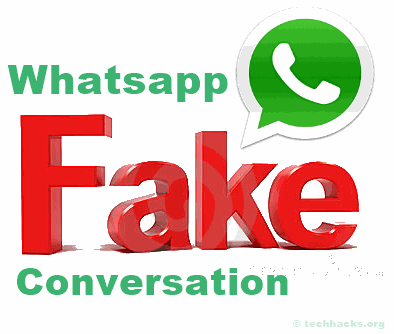 In this post, i will tell you a technique by which you can easily create fake sent and received messages of WhatsApp and then you can share that conversation with your friends and can make them fool. Create Fake Facebook Messenger chats. Create WhatsApp groups fake conversation. iPhone SMS (iOS7 style) with emojis supported. Fake facebook Status with comments and likes. Download and install the app from here. Open the app and you can see many platforms are available in the app such as Facebook, twitter, WhatsApp and so on. Choose the one you need. 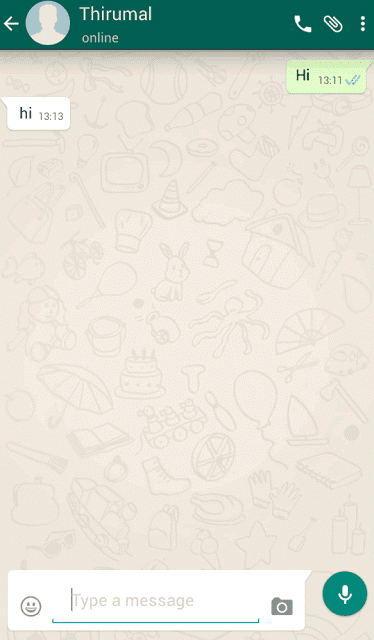 In this instance, I choose the WhatsApp. In the main tab, provide the details and choose the option you need. Once done with the settings, navigate to messages tab. 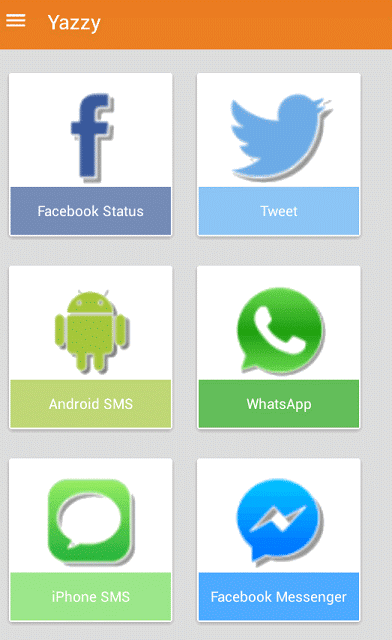 Now, navigate to status bar tab and configure its settings. Once you were done, go to the image tab. Press update option at top right to preview the conversation. Click on save button to save the picture to your device. This app offers a lot of features such as control read status and time. You can download it from here. Choose the version of the WhatsApp you had. Now, click on add contact button [besides overflow button]. Provide the details and set the avatar. 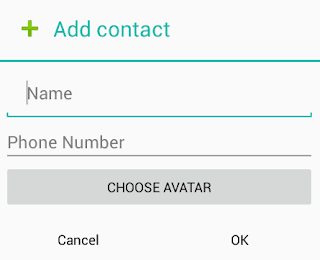 Your contact is now getting listed in the app. Open the contact and create fake conversation. Click on the overflow menu in the conversation. From the menu, you can change the status of the contact. 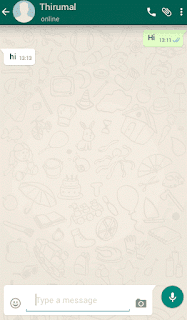 To change the status of the message, long press the message. From the pop-up menu, choose the one you need. For creating an incoming message, click on the overflow in conversation and select program incoming message option. 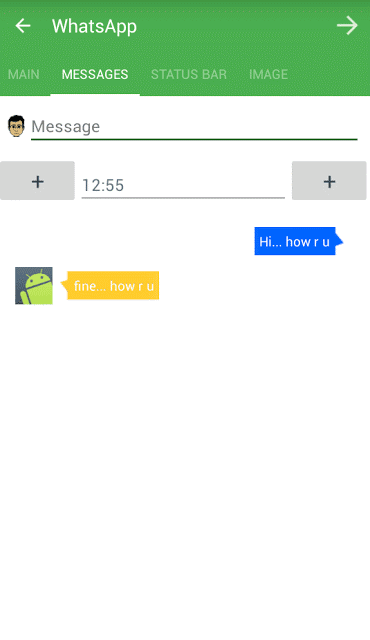 So all of above is related to How To Create Fake WhatsApp Conversation On Android. By using this method You’ve successfully created fake WhatsApp chat and you can use it to have fun with friends. Hope you like this.